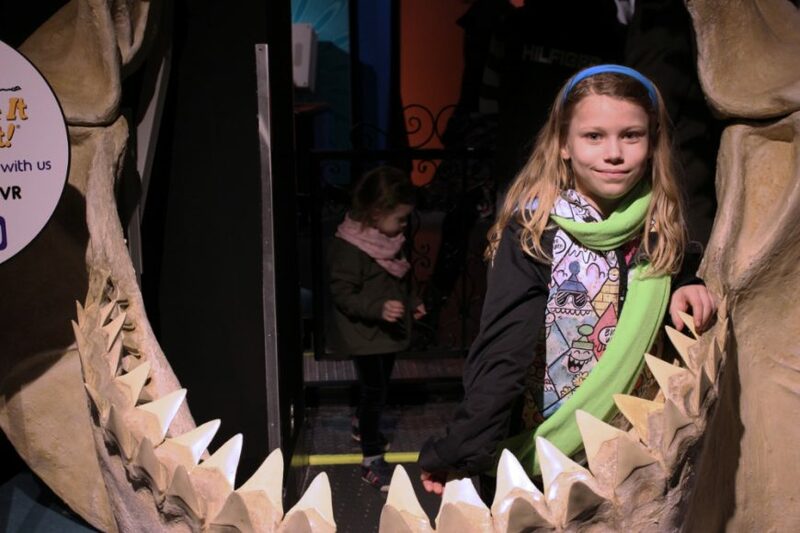 On January 25th Telus World of Science in Vancouver became a bit more wacky with it’s newest exhibit Ripley’s Believe It or Not! 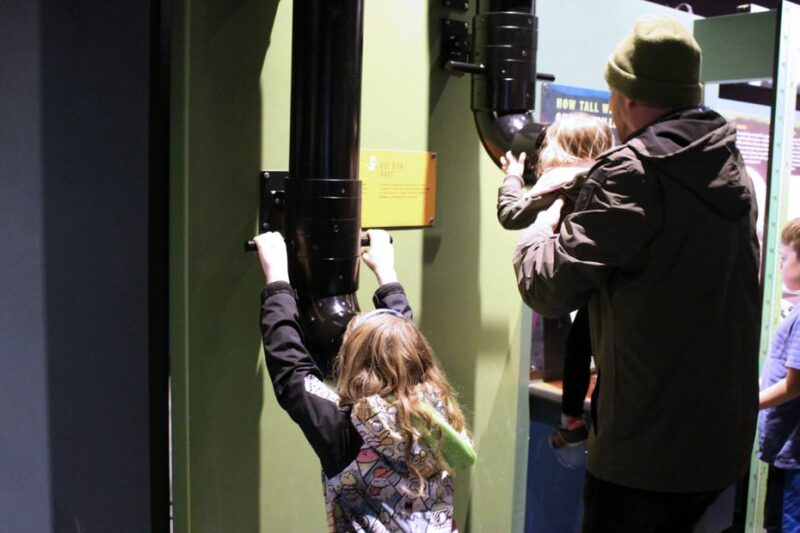 Unlock secrets of Robert Ripley at Vancouver’s favourite science centre, TELUS World of Science with this new interactive experience from January 25th until April 22nd. Sometimes things are not always exactly what they seem and it was Ripley’s Believe it or Not which truly got my inner scientist intrigued. This exhibition reveals how science can unlock secrets and explain the unexplainable. 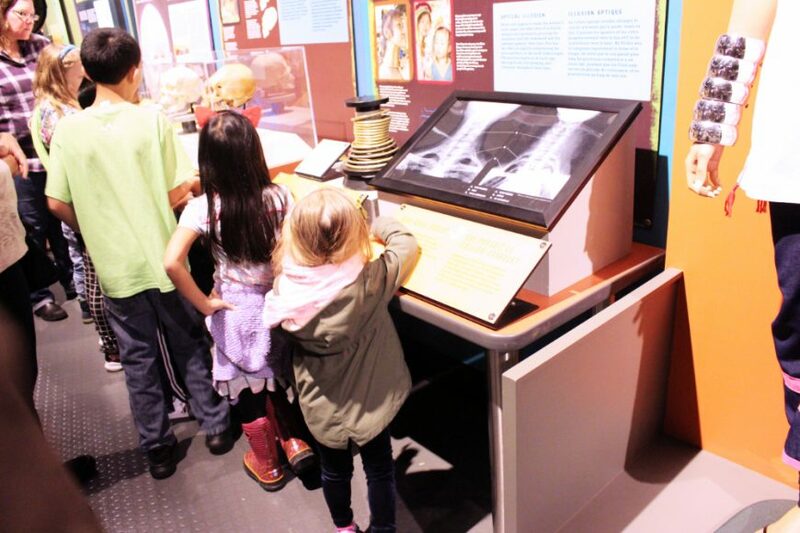 Not to mention this exhibit also includes real artifacts, experiments, touchable specimens, along with computer interactive and multimedia experiences. The girls were so excited to crawl through a life-size replica of Titanoboa, the largest species of snake to have ever lived. This prehistoric snake is as long as a school bus at 50 meters long and as heavy as a car. You can even check out Robert Wadlow, who grew to 8 feet 11 inches (2.7 m) tall. Gain an entirely new perspective as you stand beside the replica with measuring stick! Believe it or not, when Mr. Wadlow died at the age of 22, he was still growing. Explore the science behind the unusual growth in people such as Robert Wadlow. Unlock Secrets With Ripley’s Believe It Or Not! 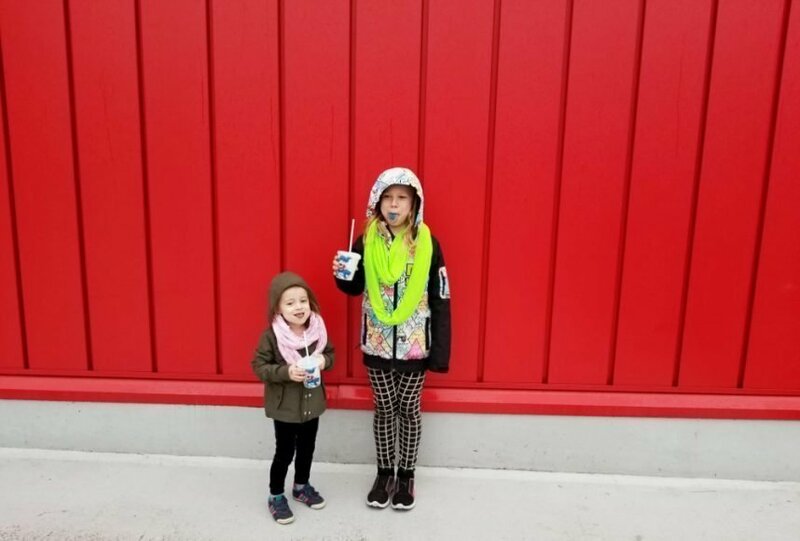 Experience the weird & Wonderful at Telus World Of Science! We are a shark loving house and so we were all over-joyed to touch the teeth of the Megalodon shark! Ava willingly hop inside the jaw for a picture! The Megalodon is the largest species of shark to ever live – Growing up to 15 meters long, this prehistoric species was the top marine predator of its time. This Interactive Experience Explores The Science Behind Ripley’s Legendary Collection of Oddities, Anomalies, and Fantastic Feats. There are many too incredible features highlight in this exhibit to list them all! If you’ve got a curious bone in your body, I can honestly say this will be an amazing experience for your little scientist! Ripley’s Believe It Or Not shows you anything is possible and to keep an open mind! Did you know that Save-On-Foods is actually a sister company to Ripley Entertainment? I had no idea but I dID know that Save-On-Food is all about Going the Extra Mile for their customers. Save-On-Foods loves to give back and support their communities but they also love to have fun! 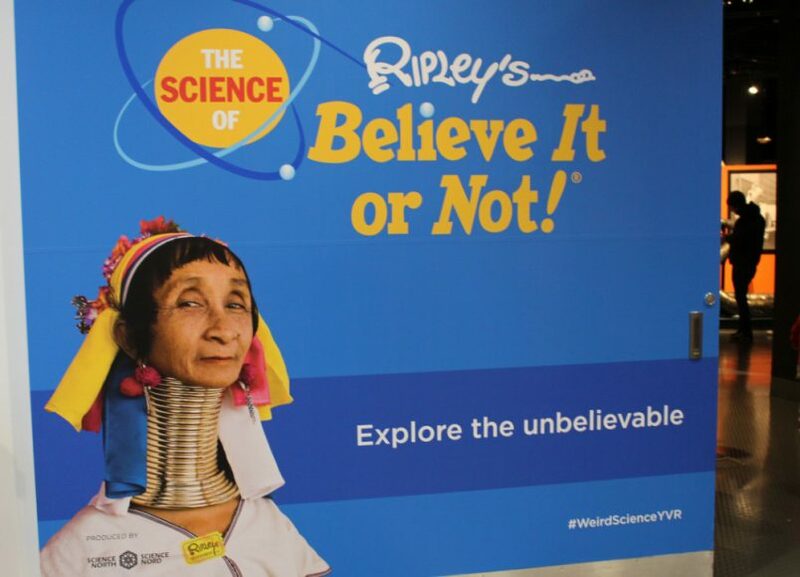 Save-On-Foods is thrilled to partner with their sister company to support bringing The Science of Ripley’s Believe It or Not! to Science World. 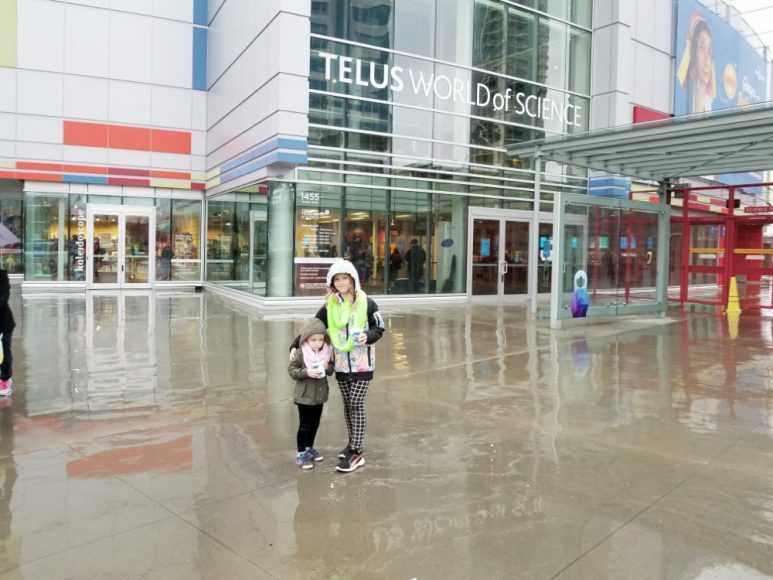 Disclaimer: We received entry to check out this Interactive experience at Telus World Of Science in exchange for this post as we love visiting Telus World of Science several times of year! All opinions expressed in this post are 100% our own! Want to see it for yourself? 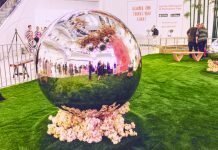 Head over to the Telus World Of Science Website to learn more about parking and all the other exhibits! 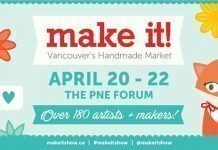 Looking for something else fun to do in Vancouver? 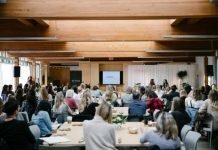 Check out our Event Calendar for more fun in YVR! Can’t wait to take my girls! They love anything weird lol.